I have just finished reading Pageant of the Years, the autobiography of legendary journalist Philip Gibbs. It’s a fascinating read, which i’d recommend to anyone interested in the history of British journalism. I thought it would be worth picking out the 10 things in it that I found most memorable. Gibbs’s career at the Daily Mail was unusual in the way it both started and ended. At the age of 23, he was invited to meet the newspaper’s owner, Lord Northcliffe, and at the meeting he was offered the editorship of the Daily Mail’s literary page (page four). For a man of his age, it was a huge opportunity and he did not hesitate in accepting it. Six weeks later he arrived at the Daily Mail office to start his new job but this time Northcliffe seemed unsure who he was. Northcliffe called down Young to join them. And so began Gibbs’s career at the Mail, working for a man whose job he had thought he had been recruited to. His departure from the Mail was equally unorthodox. He had thought his time there might be coming to an end when he overheard another member of staff saying some “ominous words” to Northcliffe and saw Northcliffe nod in agreement. Fearing he was about to be sacked, Gibbs decided he would resign instead. He went upstairs and wrote a resignation letter, sending it down by messenger boy. Half an hour later, a man knocked on his door and introduced himself as his replacement. When working as literary editor for the Tribune, Gibbs wrote to the novelist Marie Corelli to ask her to write an article. She replied that she would be willing to do so as long as it would not be cut or edited in any way. But when he received Corelli’s article, he was horrified to discover that it was what he described as “a violent and libelous attack upon almost every other newspaper”. He wrote back to Corelli to explain there was no way he could publish it. In 1908, the world was abuzz with the news that the American explorer Dr Frederick Cook had become the first man to reach the North Pole. Frederick Cook: the first man at the North Pole? Gibbs traveled to Denmark to cover the story and, through a huge slice of luck, managed to get a place on a boat that was going to meet ship bringing Dr Cook back to Copenhagen. It meant he would get to interview the explorer before he had even landed but although getting the interview was a major achievement, there was something about Dr Cook’s story that Gibbs thought seemed odd. His suspicions deepened when Cook became defensive at straightforward questions and so Gibbs concluded that he was a charlatan who was lying about having reached the Pole. When the boat reached Copenhagen, Gibbs hurried off to write his story. In it, he took the huge gamble – putting his career at risk – of making it clear he thought Cook was a fake. Having questioned Cook’s truthfulness, Gibbs interviewed Cook again (why he agreed to be interviewed by Gibbs is unclear) and asked him about details of his trip. He then checked Cook’s answers with Danish explorers and they told Gibbs that Cook’s answers proved conclusively he was lying. But as sure as Gibbs now was that he was exposing a conman, he found himself to be “the most unpopular man in Copenhagen”, a city that had lauded the explorer for his supposed achievement. He was once booed while eating at a restaurant and a newspaper described him as “the murderer Gibbs”. One of Cook’s friends even challenged him to a duel. The hornet’s nest he had stirred up began to worry Gibbs. 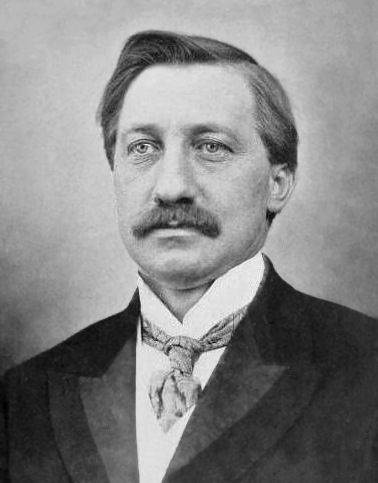 These doubts were never more prominent than when a Danish newspaper announced that the Rector of the University of Copenhagen had examined Cook’s scientific notes and observations and thought they provided proof that he had been to the North Pole. Gibbs, with his career on the line, went with Stead and a French journalist to visit the rector. The rector proved reluctant to talk to them, telling them he was not allowed to give an interview to the press without first getting permission from the university. Finally, the rector answered. “I have seen no papers from Dr Cook which confirm his claim to the discovery of the North Pole,” he said. Shortly afterwards, Gibbs was having tea with the wife of a famous explorer when she showed him a letter from her husband. In it, he denounced Cook as a “charlatan and a rogue who certainly had never been anywhere near the North Pole”. She agreed that Gibbs could publish it and, predictably, it created a sensation and seemed to prove Gibbs right. But then a few days later a letter appeared from the explorer’s wife denying she had ever shown Gibbs the letter. Despite this set-back, as time went on it became increasingly clear that Dr Cook was lying about having reached the North Pole and his claims were finally disproved by the University of Copenhagen and the Royal Society. Gibbs received a letter from Stead. “You were right and I was wrong,” the great journalist wrote. On a foreign assignment to investigate prisons in Portugal, Gibbs took a taxi ride to Forte Mon Santo outside Lisbon. 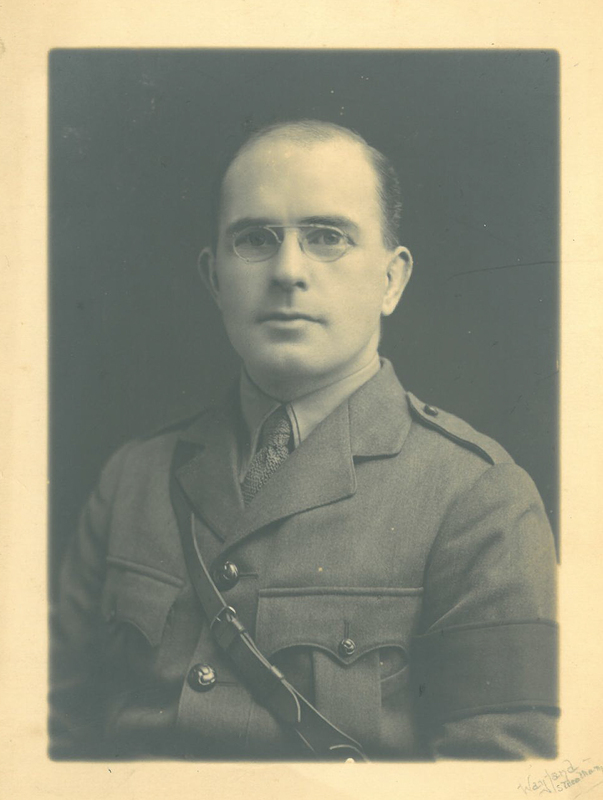 As one of the accredited reporters during the First World War, Gibbs’s work was supervised by C.E. 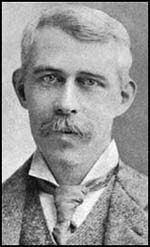 Montague, previously a leader writer for the Manchester Guardian but now a censor for the British Army. He had been against the war, but once it started he dyed his grey hair black and lied about his age so he could sign up, once telling Gibbs that since it was impossible to reconcile Christian ethics with the war, he had “declared a kind of moratorium on Christina ethics” until it was over. Montague told Gibbs how when he was a sergeant in the front line he used to sneak up on his own sentries at night to see if any of them were asleep. One day, Gibbs and Montague were watching a British attack and were close enough to see Germans running out of their dugouts and being shot as they emerged. Now and then a group of Germans that had been forced out into the open were hit by a shell, “blowing them all to bits”. Each time this happened, Montague, who was sitting on a pile of sandbags, laughed in what Gibbs described as “a goblin way”. “I laugh because every shell that bursts on the enemy brings the end of the war nearer,” Montague replied. One of the most poignant parts of the book is where he writes about the effect the War had on his relationship with his wife, Agnes. In the years after the War, the journalists who had reported the conflict were accused of having misled the British public; Beach Thomas of the Daily Mail later admitted to being ashamed of what he had written. Gibbs denied this (though elsewhere in the book he seems to allude to the fact that his despatches had not been quite the whole truth). Gibbs put the accusation down to the fact that he had criticised Lloyd George for his policies during the Irish War of Independence. 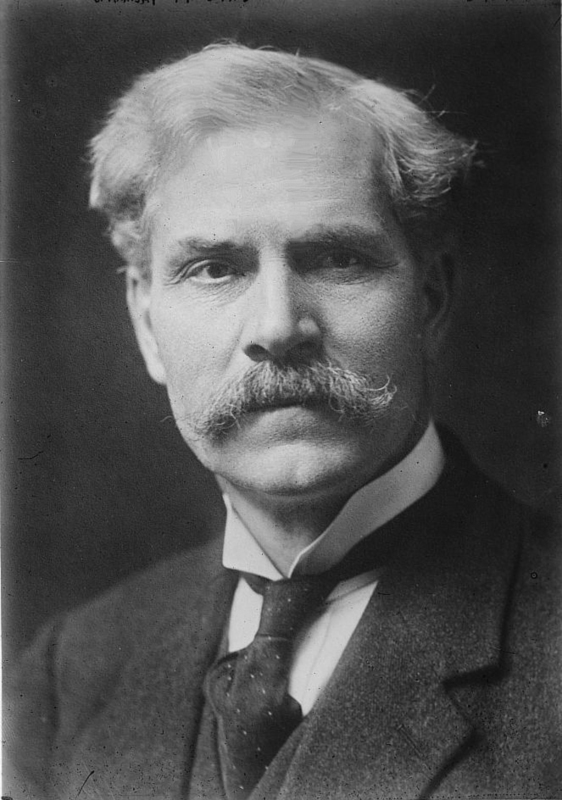 Gibbs got to know Labour Prime Minister Ramsay Macdonald and, despite being politically “not altogether in sympathy with him”, he thought he had great charm “because of his handsome face, and beautiful voice with its Scottish accent, and a gentle way with him”. One day, Macdonald was giving him a lift in his car when the Prime Minister turned to him. When visiting Berlin in the 1930’s, he was given the chance to interview Himmler. He wrote: “He was in a large room with big windows. He rose from his desk and came towards me, and for the first time I saw the man who was responsible, I should say, in the years to come, for more cruelty, torture, and human agony than any human being in modern times. He did not look like that. He looked like a professor at a university, or even perhaps an artist. Himmler started the interview by introducing himself as “a man whom your English newspapers call ‘the worst man in Germany’” and then asked Gibbs why the English people thought Hitler was preparing for war. 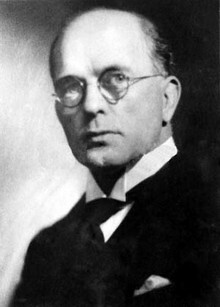 When Germany invaded Czechoslovakia, Gibbs wrote a letter to The Times in which he repeated Himmler’s claim that if Germany violated other countries frontiers then it would be the road to its ruin. He later heard that Himmler was furious about the Times letter and in 1945 Gibbs learned that his name was on a list of those to be arrested in the event of a German invasion of England. 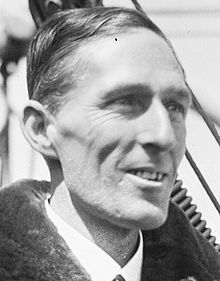 Having been a war correspondent in the First World War when in the prime of his life, Gibbs returned to France at the age of 62 to report on the Second World War. “I had the queerest sensation of being a ghost and walking among ghosts. For every village into which I went, and every bit of country through which I passed, every town in which I halted with the younger crowd of war correspondents, was haunted by the young officers and men of the old war. “Here I was in Arras again – the Arras into which I had gone so often with a steel helmet on my head when it was being shelled. “Away towards Lens was the Vimy Ridge, captured by the Canadians and Scottish through a snowstorm. Outside Arras, only a few minutes in a car, was Monchy Hill which I had seen charged by cavalry when the bodies of young troopers lay about the ground below. “All over this countryside were the war cemeteries with their rows of crosses in crowded ranks. There below the soil lay the lads whom I had known, whom I had seen trudging up the Arras-Bapaume road, whom II had heard singing in estaminets, who had walked the Street of the Three Pebbles in Amiens, who had been up to their waists in the trenches sometimes, and who knew their chances were one in four when they went over the top, and less than that the second time. “I was ghost-haunted. I myself was a ghost of that previous war. I went one day into Amiens and turned towards the Godebert restaurant with an officer who was with me. On many nights I had seen this place crowded with those who had come down from the Somme battlefields when their battalions were out of the line for a time. They had drunk too much wine here. They had flirted with little Marguerite. Now some of the officers of the Second World War were here, but not many. “A woman came up to take my raincoat. She stared at me and then spoke to me in French. I remembered her. She had been a slim dark slip of a girl. Now she was a middle-aged woman thin, and worn, and plain. Twenty-three years had passed since the Battle of the Somme, and I was elderly and haggard, and there was another war on. 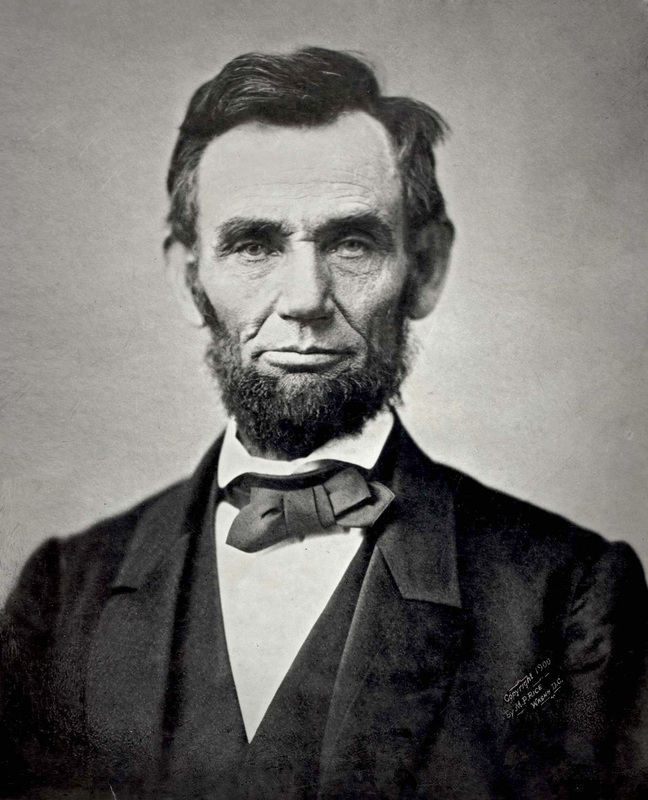 Abraham Lincoln may have died half a century before the birth of the public relations industry, but a quote of his I came across today could have been written as a defence of it. Public sentiment is everything. With public sentiment, nothing can fail; without it, nothing can succeed. Consequently he who moulds public sentiment goes deeper than he who enacts statutes or pronounces decisions. He makes statutes and decisions possible or impossible to be executed. It is a quote I wasn’t previously aware of but, for those of us who work in public relations, I think it is worth remembering. Public relations often has a bad reputation. But this gets across, perhaps better than any other quote I can think of, why virtually every successful organisation understands that they cannot do without it.